The Society gratefully acknowledges the support so generously given by the sponsors of this conference and without which it could not have taken place. The Humanities Institute, University College Dublin. The Society would also like to thank its publishers Four Courts Press for sponsoring the coffee break on Friday and the publishers whose leaflets are enclosed in the conference pack. 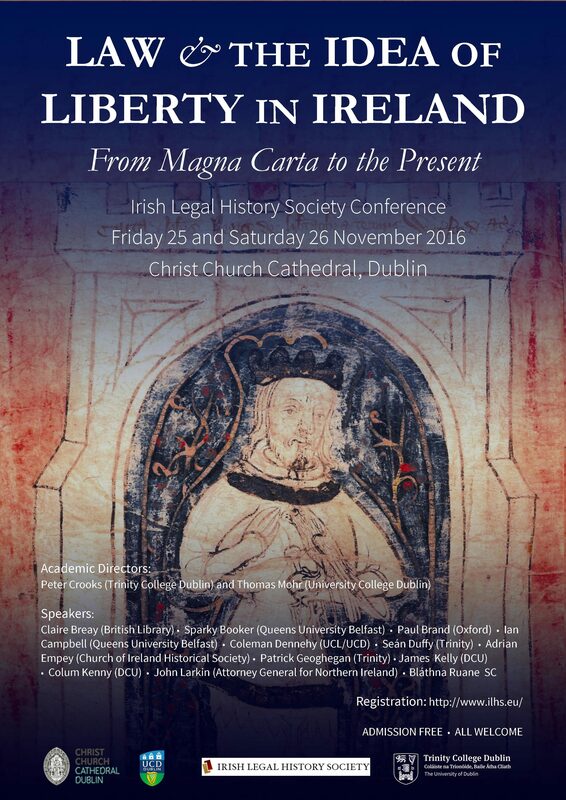 The Sutherland School of Law at UCD has recently published two short TED-type talks on legal history topics.